Directory of 27 Alberta Deer lodges, guides and outfitters in Alberta. Alberta whitetail deer are one of the most sought after trophies in North America. The whitetail deer in our Peace River Alberta hunting area have excellent genetics with unlimited quality feed. Our 10 day whitetail deer hunts take place in large tracks of bush & farm country with low hunting pressure which makes for excellent whitetail deer habitat. Rifle and bowhunters have a great opportunity to harvest a real trophy whitetail. Deer hunting in Alberta is a very exciting experience. 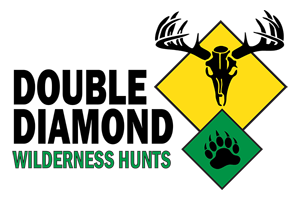 Hunts will be taking place on foot, with atvs, and pickup trucks, driving logging and oilfield roads. The weather will be between 20F and 80F. Deer that are rutting will move during all hours of the day. Once a deer is spotted your guide will establish size and quality of the deer. You should be seeing deer between 120” to 160” and possibly bigger!. If the Deer is a “Shooter” you will pursue all possible shot opportunities. After you have harvested a Deer we will take some great pictures, and skin and prep the animal for the taxidermist of your choice. There may be opportunities to harvest a wolf and or coyote as well. Thank you for taking the interest in hunting Alberta. Alberta Native Guide Services has designed hunts for whitetail deer hunting and mule deer hunting in the foothills of Alberta, Canada. These deer hunting areas give hunters an excellent opportunity at harvesting a trophy whitetail deer with a chance to shoot a mule deer once your whitetail tag has been filled. We provide archery whitetail deer bowhunting and mule deer bowhunting with exclusive access to over 50 quarter sections of (deeded) private property in Wainwright, Alberta. Limited hunting pressure, a good food source, plenty of cover and exclusive access are all keys to a quality deer hunt. Hunting huge whitetail deer and monster mule deer in the peak of the rut is every hunter's dream. Picture yourself in a heated tree stand overlooking rich farmland, rolling hills and river bottoms. It's November; the rut is in full swing and out of nowhere he appears - the trophy of a lifetime and now the rest is up to you! If this is what you have been looking for, then look no further! We can make this dream a reality! Trophy Whitetail hunting at its best with the experienced outfitter – A.W.G.S., for mature whitetailed deer. Hunts are available in both rifle or bowhunts, in the Whitetail mecca of Alberta, Canada, long known for the size of our Whitetails, along with the dark, massive antlers they grow. Since 1983 our outfit has earned and gained a strong reputation for delivering a product of both quality and success to the serious and discriminating travelling Whitetail hunter. The mountain mule deer / whitetail deer combination hunts are one on one hunts run out of tent camps in the mountains. These 5-day hunting trips are in very high, rugged terrain and our results have been excellent on big mule deer, as this is what most hunters concentrate on first. Our whitetail are good average deer, ranging from 120-150 B&C. These are late season hunting trips running from the last week of October through the end of November. If available, a black bear hunting tag or wolf hunting tag can be added to this hunting trip. Also offered with ranch accommodations and featuring a glowing fire, hot showers and all the comforts of a log lodge each night. With our Prairie Hunts hunters can expect to see from 5-25 bucks per day and we tell hunters not to shoot bucks under 170 inches as they will see one better than this during their hunt. Our Mountain Mule Deer Hunts are for the hunter who wants it all. The beauty of the mountains and the challenge of taking a great muley in this awesome country is outstanding. The country is physically challenging but even though you will not see as many quality bucks per day as on the prairie hunts your chances of getting the once in a lifetime 200+ muley are still there. Bucks in the 160-180” range have been regularly sighted. With the help of our great guides and a little luck booner bucks are possible. Remember even in Alberta a booner is only found in 1/700 bucks harvested. As always the key to shooting a larger buck is passing up the smaller ones. Bouton Brothers Outfitting’s Whitetail Deer hunts are conducted in the “Golden Triangle” of central Alberta. This is where the northern most grain-farm country meets the beginning stages of vast tracts of boreal forest. This area does not have large numbers of deer, but what it lacks in quantity is quickly taken back in quality. These are big-bodied Canadian Whitetails that frequently weigh in over 250 lbs. and sport some of the largest head-gear found anywhere in North America. Alberta Whitetail Deer Hunting and Mule Deer Hunting Whitetail Deer Hunts and Mule Deer Hunts in Alberta, Canada Freeman River Adventures, located in central Alberta, Canada, invites you to a whitetail deer hunting adventure of a lifetime. Alberta has some of the biggest whitetails in the world and the whitetail deer in our central Alberta hunting area are no exception. You can combine your whitetail deer hunt with a mule deer hunt for a complete Alberta deer hunting adventure. When it comes to hunting Alberta's whitetail deer and/or mule deer, we are the Alberta outfitter for you. We hold some of the most sought after whitetail deer hunting tags in all of the province, 1/2 hour south of the famous bowzone in Edmonton. You will be hunting whitetails in November when the deer rut is in full swing. This area holds a huge amount of whitetail deer giving you a great chance at a buck 150 or bigger. Our whitetail deer hunts are done out of tree stands in agriculture fields bordering bush, ground blinds, pushing bush, or stalking. We have a limited number of tags so the guiding will be done by us personally. You will get a close and personal hunt when you book your Alberta whitetail deer hunting trip with us. We do year round scouting and track whitetail deer activity with trail cams. This has allowed us to put our hunters on some nice Boone and Crockett bucks. Alberta has long been known as one of the best places for a chance at a wild Boone & Crocket deer. Great White Holdings has been taking trophy deer hunters for over 40 years and consistently harvesting more B&C bucks than any other outfitter in the province – period. We are fortunate to have some of the very best habitat and genetics for both whitetails and mule deer, plus very little resident pressure. To get big, mature bucks you need good food sources with the right mix of cover. Our clients get access to a mix of prime farm land, fringe and heavily wooded areas – the perfect habitat for deer. Mule and Whitetail Deer. Over 25 Years of Hunting Experience. Extremely High Success Rate. Dozens of Proven, Scouted Tree Stand and Ground Blind Locations. Welcoming Hunters of All Ages & Abilities (Wheelchair Friendly). Archery, Rifle & Black Powder Hunts Family Owned & Operated! At Groat Creek Outfitters you will experience a full service, high quality hunting opportunity! Our entire outfit is devoted to making your adventure with us a success! Groat Creek Outfitters operates from Northwestern Alberta, Canada, approximately two hours NW of the Edmonton International Airport. We invite you to come hunt with us, as Alberta offers a very unique and rewarding hunting experience. We will make every effort to ensure that your time spent with us will be an enjoyable and memorable experience! Mountain Alberta mule deer hunts take place in a wilderness area of the Rocky Mountains of Southern Alberta. Access to this protected area must been done by foot or by horse. These regulations along with mule deer being on a limited draw, has created an ideal area for trophy deer hunting. These mule deer hunts are during the month of October when the bucks are still in their bachelor herds and summer ranges. We hunt open basins and grassy ridges by hiking or by horseback. This hunt offers the opportunity to take a trophy class mule deer with the added adventure of hunting in a high mountain area. Each year we take scouting trips into this area locating the many big deer this area has to offer. Our whitetail deer hunts take place in the part of Alberta which has become known as one of the best areas in North America for massive bucks. The two largest whitetails in Canada (279 6/8 and 285)are from the area we hunt. The area we hunt has farmland but its best feature is the large tracts of forest that gives the bucks cover enough to reach trophy size. The Peace River Country has become known as the destination of choice for trophy Mule deer. With a healthy population and unbelievable genetics, hunters have had excellent success hunting with us in Alberta's Peace Country. Alberta is known for its gigantic whitetails. Alberta has harbored some of the worlds largest whitetails recorded. We provide opportunities for you to harvest a 130-150 BC class animal each year. Our record of nearly 100% shot opportunity speaks for itself. Our hunts are conducted by using stands, blinds and walk and stalk. If you’re looking for the opportunity to harvest an Alberta Whitetail look no further. Alberta has long been known for its large majestic mule deer. Our deer average 140-160 BC class, even higher deer are seen each year (170+.) Our deer populations are controlled by a limited entry draw for resident and point restrictions. This gives us the opportunity to see large herds of beautiful animals. Our hunts are centered around crops and logging blocks. Our success is outstanding! If you are looking for a massive Muley book today as hunts are limited. Alberta is renowned for its large whitetail deer, tipping the scales at well over 300 lbs and our area is no exception. We have whitetail bucks in the 130”-200” class and our clients usually see a couple of these giants within range each week along with smaller bucks and does. All of our whitetail hunts are conducted from tree stands or ground blinds, hunting crop or timber country. If a trophy whitetail is what you are after then Alberta is the place to hunt. Alberta is a sleeper for great mule deer and we have some monsters. Most of Alberta is on draw for mule deer and with limited pressure and great habitat big bucks result. We have mule deer in the 140”-200” class and our clients usually see large herds. Most mule deer hunts are conducted by stalking or stand hunting near crop land or logging blocks. If you’re looking for a massive Muley look no further. Smoky River Outfitting offers Canada mule deer bow hunts Northwestern Alberta Canada, Guaranteed shot on our archery mule deer hunts. We've never taken a hunter that hasn't had a shot at a buck! We specialize in guided rifle whitetail hunts in the peak of the rut in November. Hunt Alberta for trophy whitetail deer with Smoky River Outfitting. We offer peak of the rut rifle Whitetail hunting in Alberta's famous peace river region. We stand hunt from ground blinds and heated tower stands depending on hunting conditions. Rattling is extremely effective at this time of year, 50% of bucks killed are rattled in. Alberta, Canada is known for its world class whitetail deer hunting. So when you arrive at Straight Arrow Outfitters in Central Alberta, you know you will be in for a hunt of a lifetime. With abundant bush pockets and rich agricultural land, you know this is a recipe for great deer. Alberta, Canada is known for its world class whitetail deer hunting. So it should be no surprise that where big Whitetails grow big Mule Deer can grow too. With abundant bush pockets and rich agricultural land, you know this is a recipe for great deer. We can't guarantee that you will harvest a 140-150 class Alberta Mule Deer, but we will guarantee that they are here and that you will see them. Trophy Hunters Alberta is Alberta's premiere Mule Deer outfitter, owning some of Alberta's best allocations for the species throughout central, eastern and southern Alberta. THA owns 224 big game mule deer allocations, representing more than 6% of the mule deer allocations in all of Alberta. 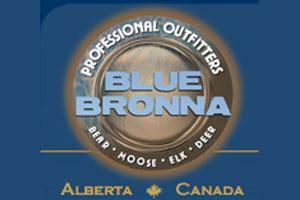 With about 450 Outfitters in Alberta, we certainly have the most flexibility possible. The Province of Alberta has the enviable reputation of being the destination of choice for hunters in search of a world class quality mule deer hunt. Trophy Hunters Alberta has twice won the highly coveted Alberta Professional Outfitters Society award for the 'Largest Whitetail - Archery' on an outfitted hunt (out of 450 outfitters). THA owns 167 whitetail deer allocations, allowing THA clients to hunt whitetail deer throughout extensive areas of southern, south-western and west-central Alberta. Hunt Alberta in our extensive world class whitetail deer hunting zones covering over 15,000 square miles. Our whitetail deer hunts take place during the peak of the rut in November. This is a very exciting hunt as the deer are very active. We use only top quality equipment and heated blinds to make you as comfortable as possible to maximize your time in the field and your chance for success. Mule Deer are generally very mobile during the rut. Once we have located your trophy mule deer, it’s a matter of gaining ground and waiting for the perfect shot. If you want to hunt record class mule deer join us on a spot & stalk archery mule deer bowhunting adventure. These mule deer bow hunts are a great experience you will not forget! This hunt takes place during our five week rifle hunting season. We start by hunting mule deer in pre-rut bachelor groups and continue hunting all stages of the rut. An opportunity at a larger buck is quite possible due to the intense rutting activity. For those who can remain patient in their pursuit of a trophy whitetail deer, the odds of connecting are excellent! We specialize in guided whitetail deer bow hunts and rifle whitetail hunts in Alberta Canada. Hunt Alberta for Trophy Whitetail Deer with Wizard Lake Outfitting Bow & Rifle Whitetail Hunting Outfitters and Guides.